Famine, disease, poverty, and war are global challenges that cannot be overcome without large-scale cooperation. And though many of us wish to help fight these challenges, the demands of daily life — however trivial they may seem in comparison — can often keep us from contributing. That is why these five startups are so important. Not only are they out to do social good, they make it easy for even the busiest of us to get involved. Whether it’s donating food by tapping a button or using clean energy by flipping a switch, these startups are putting the power to do good in the hands of the many. No doubt inspired by TOMS Shoes, Sparrow is taking the “buy one, give one” business model into the mobile service sector. 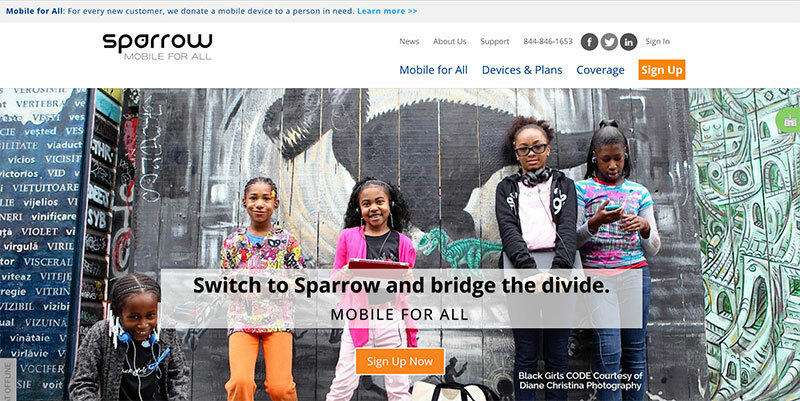 When you sign up for Sparrow mobile service, the startup donates one smartphone or wireless service to someone in need. Sparrow’s philanthropic reach is worldwide. A smartphone may be given to a homeless person in the United States, a child in Kenya or a small business owner in Malaysia. The organization believes that increased access to smartphone technology will provide the less fortunate with more opportunities to find work, connect with their community and advance their education. A smartphone in every hand also helps bridge the digital divide between industrialized and developing countries, rural and urban communities and disparate economic classes. Are you reading this article on your computer? Is your computer plugged into an outlet? If so, then here’s a question: Where is that electricity coming from? 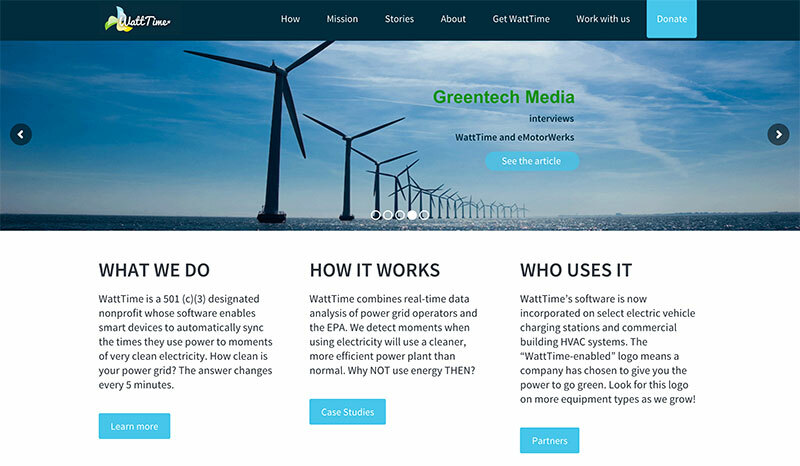 WattTime is a brand new startup that not only answers that question, but makes it easy for environmentally-conscious customers to use the cleanest energy available. Before building the company, WattTime cofounder Gavin McCormick helped developed a technique that can identify the source of your electricity. With the help of fellow cofounder Anna Schnieder, they turned the procedure into an automatic tool that even a layman can operate. WattTime is currently partnering up with other companies, such as Building Clouds and Smart Cubed, to create “WattTime-enabled products,” which will provide real-time data about the environmental impact of your electricity, and allow connected devices to automatically switch to the cleanest energy available. Soon you will be able to decide where your electricity comes from, and ensure that it’s clean. As “rounding up for charity” continues to catch on, larger companies like GoDaddy are adopting the practice, and services like WooCommerce are making it simple for smaller businesses to integrate it into their transactions. But customers aren’t always given a choice of charities. Bstow takes the practice to its next logical step, and lets customers choose which transactions they round up, and which charity those donations benefit. With the Bstow app, you can pick between any of the 1.5 million 501(c)(3) non-profits. After linking the app to your bank account, you’re given the option to round up any of your transactions to the nearest dollar and donate the remainder to said charity. Bstow has already launched a private beta, and are planning to launch a wider release in early 2016. Sign up to be notified the moment it’s available. While not a startup in the truest sense, World Food Programme’s new initiative, ShareTheMeal, deserves a mention. The iOS and Android app is dedicated to supporting Syrian refugees, with the goal of providing school meals to 20,000 Syrian children in Jordanian refugee camps for a full year. The way ShareTheMeal works is simple. After linking your bank account to the app, you can tap a button and feed one child refugee for a day. The cost is $0.50, but you’re also allowed to donate more ($3.50 for one week of meals, $15 for one month, $45 for three months, and so on). ShareTheMeal even shows you where the donated meal is distributed. For consumers seeking hand-crafted, artisanal goods, Etsy is probably the first marketplace that comes to mind. But the majority of Etsy sellers are educated, maintain a working to middle-class income and live in a developed nation. This isn’t a knock on Etsy as much as it as reminder that there are an untold number of incredibly talented and creative people that exist outside Etsy’s seller demographic, and Enrou finds them. 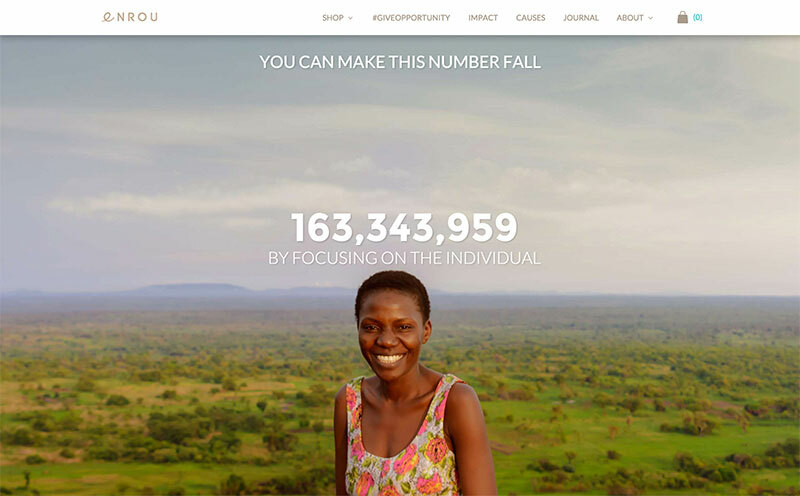 Established after winning $400,000 from the Forbes Pressure Cooker contest, Enrou is a content-driven online marketplace that sells products created by people in developing communities. A quick glance at Enrou’s marketplace shows a Kunene Cattle Bracelet created by a Namibian artisan and mother of five, a Tigist Leather Tote woven by an elderly woman in Ethiopia, and Soyamma Lounge Pants created by women who have been affected by human trafficking. Enrou partners with socially responsible brands like Connected In Hope and A Voice Is Heard. With the help of these brands, Enrou is also able to provide micro-finance courses and employment opportunities to these local communities. For those seeking a simple way to give back, one of these five startups may just be the solution. Entrepreneurs can also look to these startups for inspiration. 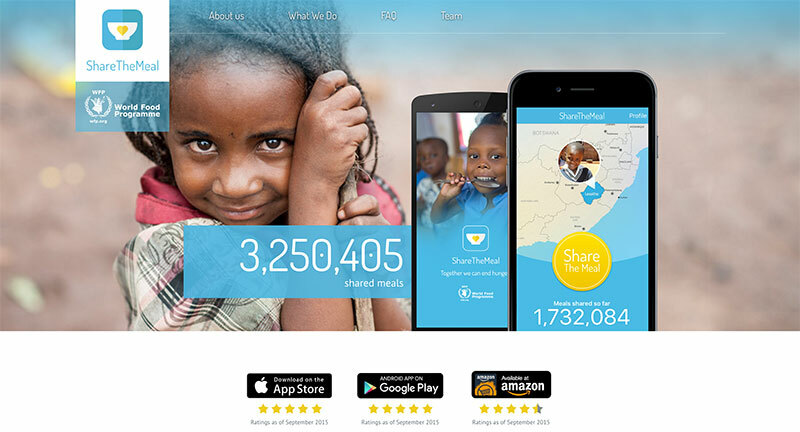 Apps like ShareTheMeal and Bstow demonstrate how to leverage the latest smartphone technology for social good, and companies like Enrou and Sparrow are prime examples of startups that bake social good into their business model. WattTime, perhaps the most ambitious product on the list, helps establish the market for advanced environmentally-conscious technology.